Five friends got the idea in early April to organize a regional HGVBB competition at Stoeterij Mivaro in Dilbeek in June. Despite the short period to organize this and also the exam period, the organization could count on two days of great sport with a lot of interest and tests that were all full immediately. It looked a long time that Ben De Craene of Stal Den Bisschop would win this Grand Prix with his stallion Comme d'Api vd Hacienda Z. But at the very end Patrick Nisbett set a faster time with Jahwara d'Ysenbeeck, three seconds faster and so this Grand Prix managed to write in their name as Champions. 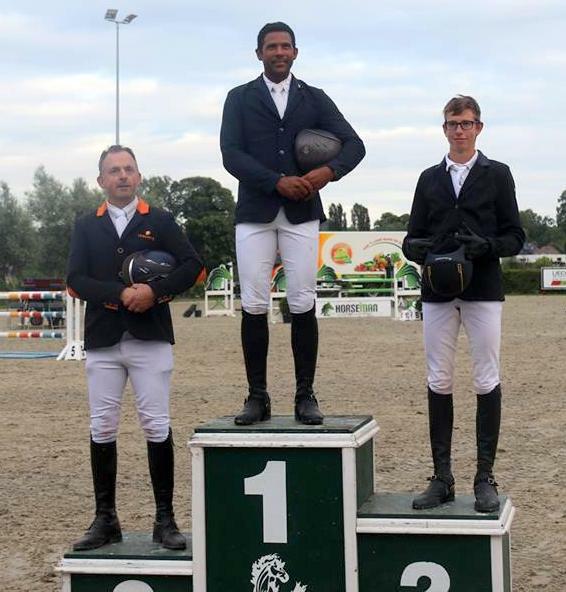 Jan Lamberts and Hatchoum LV Z finished in third place. Frederik Wuytack finished fourth with Fento Chin S. For Ellen De Swert and Escape, the fastest four riders in the jump-off came fifth.